The Pollinator Posse creates pollinator-friendly landscaping and fosters appreciation of local ecosystems through outreach and education. With eco-friendly landscape techniques at the heart of our work, we teach respect for the creatures which keep Northern California blooming. We envision a day when life-enhancing, thought-inspiring green spaces will grace every corner of the Town. 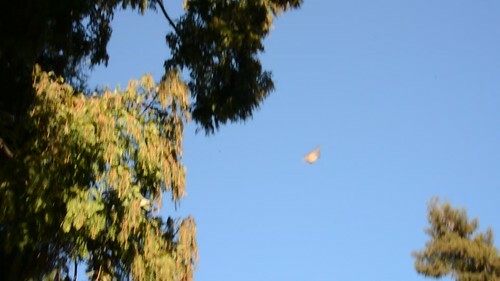 Monarchs wintering in the trees at the Gardens at Lake Merritt.